If you’re here because you want to get your hands on an understated family car, then, you need to move those fingers as fast as they will go and hit that back button because the Cadillac Escalade is as far removed from understated as anything can get. It is the 50 Cent of the car game. It seats up to eight people, can tow up to 8400 pounds, offers an overindulgence of luxury and is so blinged up, it is almost a shock that they don’t do a diamond encrusted version. What’s more, it packs a punch. It packs a punch in the form of a 420bhp V8 eight-speed automatic engine. Yup, it is the same old ‘Slade that we have come to know and love… or is it? So, What’s New With It? The most laughable change is the way they have renamed the trims going from Luxury to Premium Luxury. Luckily this isn’t their only tweak and there are actually changes with some substance behind them, such as the new rearview mirror camera system which transforms from an everyday mirrored surface to display a video feed from a rear-mounted camera, eliminating almost every blind spot going. They have also added an automatic parking system, automated emergency braking and, most importantly, a new 22-inch rim design. The speed. Oh, man, the speed. This thing weighs well over two and a half ton and yet it goes from standstill to 60mph in just over 5.7 seconds. That is phenomenal. That puts all its rivals to the sword and even steals ground from much smaller and lighter vehicles. We also can’t help but admire its towing power. It could be a boat, a campervan, a full-size replica of the Eiffel Tower; it doesn’t matter, this thing will pull it. And last but by no means least, we have totally fallen for the aesthetics. Yup, that overpowering visual presence has snagged us. We know what we’re getting with the exterior, but the interior oozes something special, which is something we know is high on every buyer’s priority list. The ride is about as hard to endure as the new Blade Runner film (which is a real reminder of why Hollywood should just leave the classics alone). What’s more, if you have the 22-inch rims going on, then, you will find the vertebrae in your back get ground up to a fine dust so quickly you’ll be calling this 1-800-VICTIM2 Accident Lawyer to see whether you can file a claim, although you may have to call them just because the safety features aren’t as state of the art as one would hope. 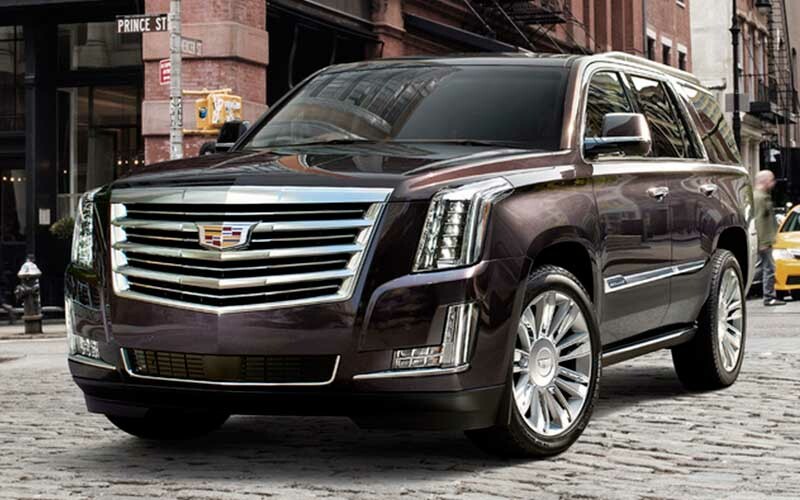 The other area that continues to let down the Escalade is its – supposedly – touchscreen infotainment system. It has improved but barely. If you can’t create sensitivity switches or a user-friendly touch screen system, then, just stick to good old fashion knobs and be done with it. Please. The last thing that made us cry just a little bit was the substandard quality of some of the parts that make up the cabin. For the money you are paying, you don’t want it to feel like the dash came out of a bargain bin and Target.